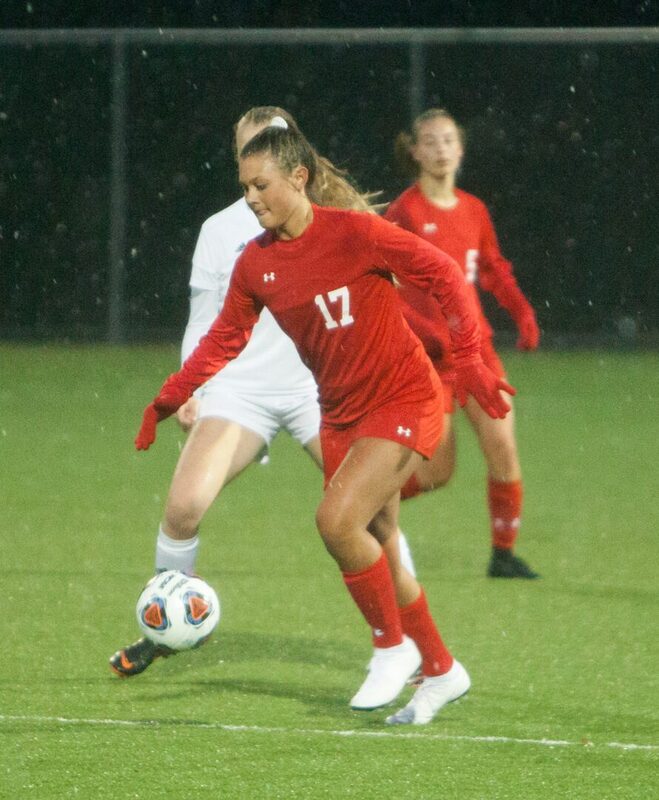 SPRING LAKE – The Mona Shores and Spring Lake girls soccer teams faced off Wednesday, in a game between two local powers that had the feel of a postseason showdown. The host Lakers attacked throughout the contest, but were continually stymied by the Sailors’ defense. In the end, the teams settled for a 1-1 tie in non-conference action, and both fell to 0-1-2 on the season. Spring Lake’s offense dominated the first half, outshooting the Sailors 5-1. The Lakers’ Sara Gray rang a shot off the post nine minutes into the contest, but that’s as close as the Lakers would come in the opening 40 minutes. Mona Shores, however, made the most of its attempt. The Sailors’ Erin Powers picked up a loose ball and rushed the length of the field before finding Bri Wade in front of the net. Wade fired low and left for a goal and a 1-0 lead with 28:40 left in the first half. 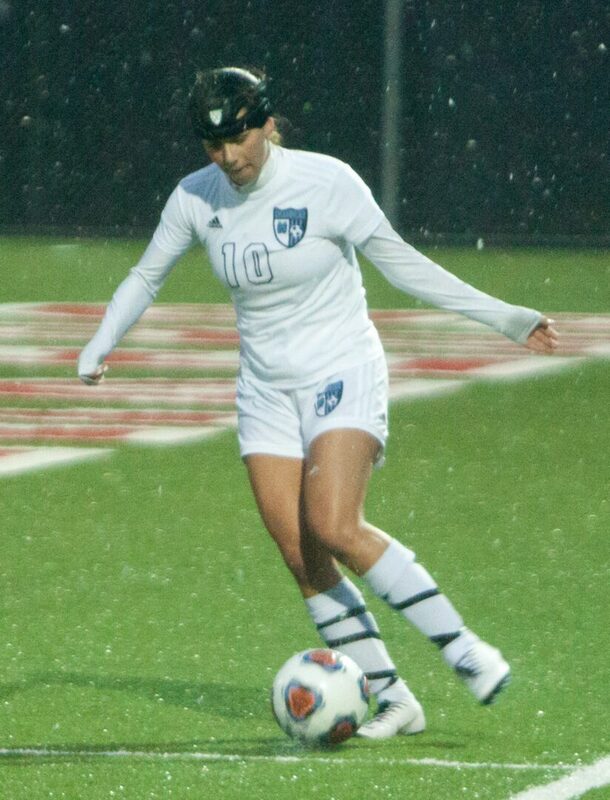 With the driving rain turning to snow to start the second half, Mona Shores came out aggressively on offense, putting two early shots on net but failing to score. Spring Lake responded by regaining the offensive advantage, but again couldn’t find the net. The Lakers finally got on the scoreboard with 10:30 left in the game. Spring Lake’s Laney Peasley fired a long shot that rang off the crossbar and rebounded out to Phoebe Saunders, who knocked it to tie the score 1-1. Neither team was able to do much more in the wind and snow after that, and both settled for their second tie of the young season. The Lakers finished the game with a 10-3 shot advantage. Emma Lynn had nine saves in goal for Mona Shores while Kamryn Lewkowski had two saves for Spring Lake.